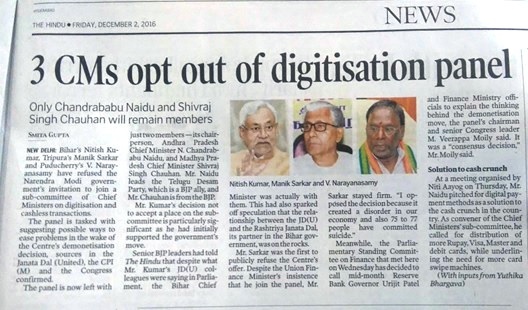 “3 CMs opt out of digitisation panel” – screamed the headline on The Hindu today, in a piece that was yet again out to belittle the entire process of demonetisation and its ancillary activities. Further it claimed: “Only Chandrababu Naidu and Shivraj Singh Chauhan will remain members”. 75 to 77? Am impressed with this attention to detail. Committed suicide? Doubly impressed with how natural deaths that have nothing to do with either a suicide or demonetization have now been made main stream narrative. For a detailed rebuttal on this topic, please read this article by Rupa Subramanya. Anyway, let’s come to the date. 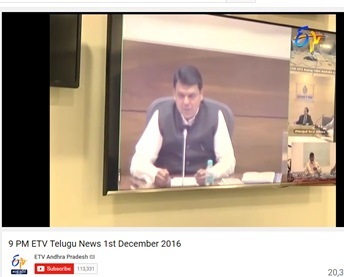 On December 2, 2016 we are told that “Only Chandrababu Naidu and Shivraj Singh Chauhan will remain members”. The tweet also linked the pdf document with full details of the scope and charter of this committee formed to help in the “Implementation of digital payment systems in India”. 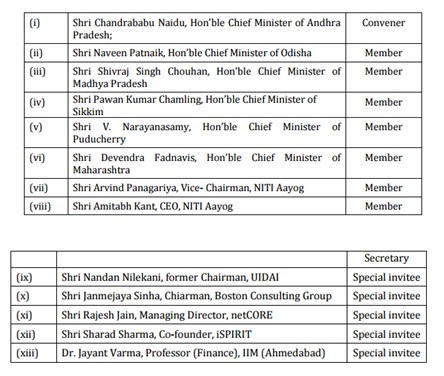 Do you see that there are names of 6 Chief Ministers in the committee formed on November 30th? Do you also see that the names of Nitish Kumar and Manik Sarkar are not even there? So if we assume that this list by NITI Ayog was published after the Chief Ministers quoted by The Hindu refused, then how come Narayanasamy’s name is still there? And if this list was published before the refusal, why are the names of Nitish Kumar and Manik Sarkar not there? Do you also see that there are Chief Ministers representing the TDP, BJP, Congresss, BJD and Sikkim Democratic Front, so not just two Chief Ministers as The Hindu’s report claims? Do you recognize the face? It’s neither Chandrababu (you can see him at the bottom right corner) nor Shivraj Singh Chauhan – the only two Chief Ministers left on the panel as The Hindu claims. The governments of Odisha and Madhya Pradesh were represented too (from the brief report, we didn’t get to see if the CMs were present). And on the morning of December 2nd, 2016, “India’s National Newspaper since 1878” tells its readers that there are only 2 CMs left out in a panel that had already conducted its first meeting a day before! I am starting to wonder why the media is making it so easy to counter them! Come on folks, you should make it difficult for us to rebut!